What’s Best: Several beaches, a peak to view the entire Bay Area, and 738 forested acres an island home to wildlife, and the site for dozens of historical buildings that date from the Civil War. 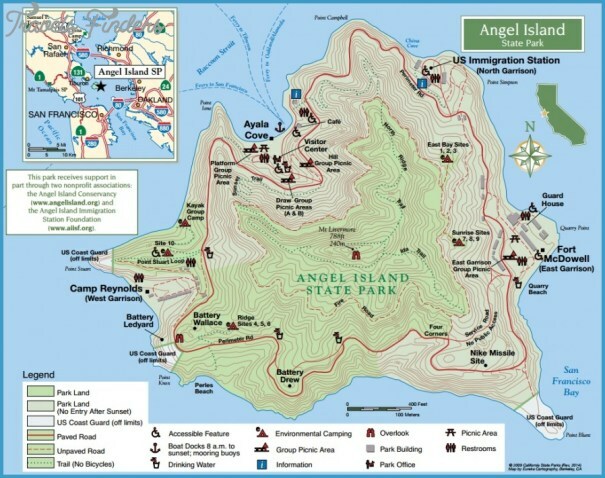 Angel Island gets repeat visitors. 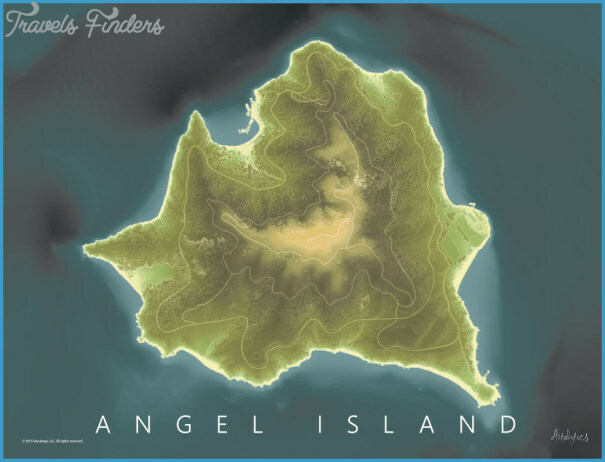 Angel Island sits off the tip of the Tiburon Peninsula, across Raccoon Strait. On trails, you’ll see a variety of flowers as well as many trees eucalyptus, cypress, oak, bay, madrone, Douglas fir, and Monterey pine among them. 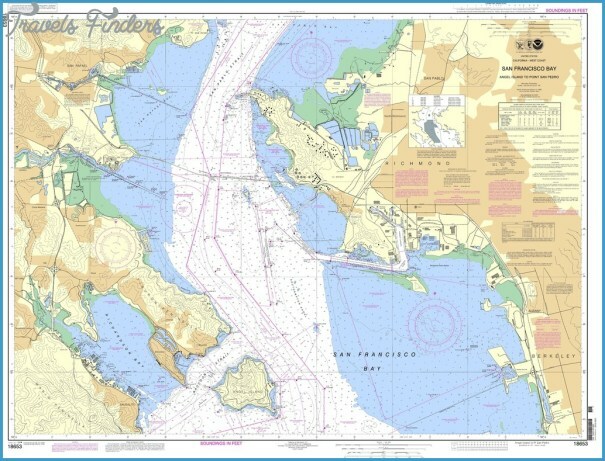 Western culture set foot on Angel Island in1775, from the decks of the Spanish vessel San Carlos the first known to have entered the Golden Gate under the command of Lt. Juan Manuel de Ayala. U.S. Army garrisons were constructed during the Civil War period and expanded during the Spanish-American war, circa 1899. An immigration station was established on the north shore in 1910, which was used primarily for detainment of Chinese immigrants, deemed less desirable after the railroad construction of the late 1800s. In 1940, the North Garrison Immigration Station was abandoned. 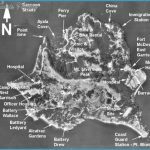 During the 1950s Cold War, when a Nike Missile facility was built on the island’s southeast shore. 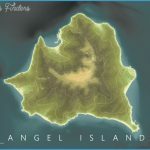 In 1962, all of Angel Island was made a California State Park, ending a 15-year effort. All hikes begin at Ayala Cove, where ferries dock. Tram tours are available, as are segway and bike rentals. 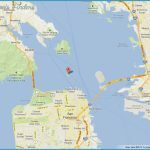 For the Perimeter Road loop, the best introduction to Angel Island, take a road to the right, just up the path from the ferry dock. 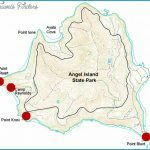 All around the island are spur trails leading out from the perimeter route to points of interest which all totaled would add another 2.5 miles to the hike. 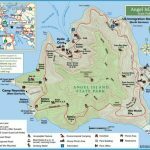 About .75-mile from Ayala Cove is a loop trail to Point Stuart, a scenic view of the Golden Gate and a worthy final destination for less energetic hikers. About .5-mile past the Point Stuart Trail is a short trail down to Alcatraz Gardens, and about a mile past that is another spur trail toward Point Blunt, near the Nike Missile site. Most perimeter hikers will want to detour halfway around to explore the East Garrison at Fort McDowell and stroll Quarry Beach, the island’s best beach. 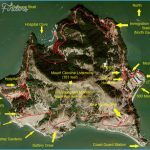 You may also want to save time for a walk to the former Immigration Station at North Garrison, about .75-mile north of Fort McDowell, which is also reachable via a coastal trail taking off from the road to Quarry Point. 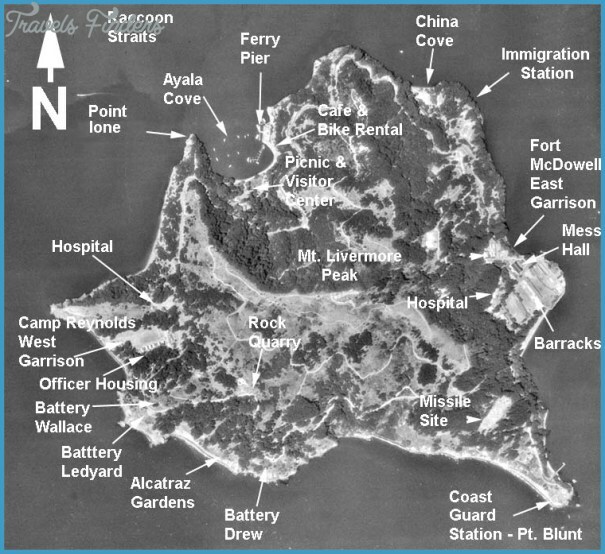 The North Garrison, features exhibits detailing Chinese immigration history on the island at China Cove. An Interior Fire Road contours the island, maintaining an elevation of about 400 feet, about halfway between sea level and the top of Mount Livermore. This loop is for visitors less interested in history and wishing more natural surroundings. A half-dozen trails and roads connect the Fire Road with the Perimeter Road, and several trails lead from it to the top (788 feet) of Mount Livermore. For this loop, head up the Sunset Trail, beginning at Perimeter Road where the main path comes up from Ayala Cove. The trail switchbacks up 200 feet to the Interior Fire Road. Start to your right, beginning your counterclockwise route. 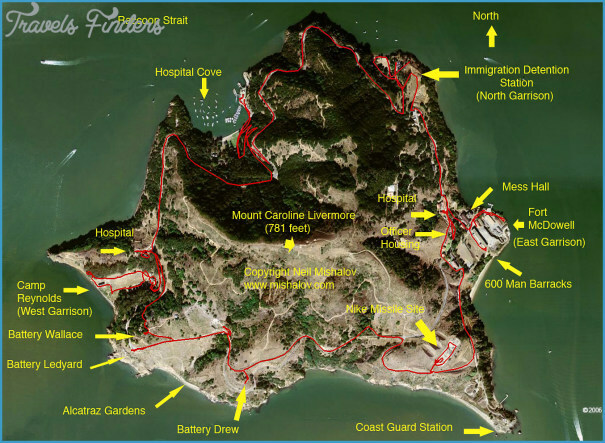 For the Mount Caroline Livermore loop, take the Northridge Trail, which begins to your left as you disembark the ferry, before reaching the snack bar. 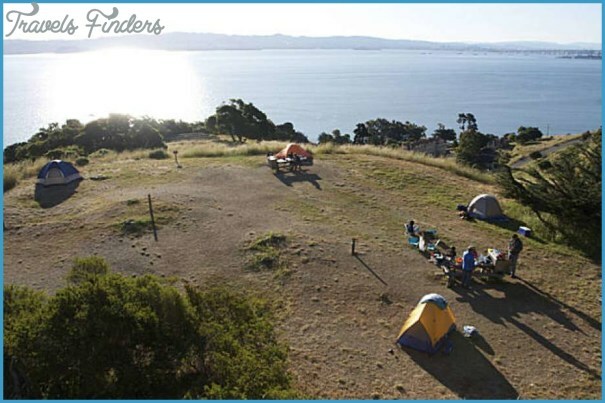 The peak is named for the Marin conservationist who led the long effort to make Angel Island a park. You’ll cross Perimeter Road as the trail curves to the north, and then goes directly up the ridge. 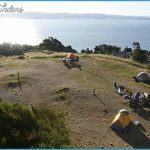 Near the top you’ll find a pleasant picnic area to enjoy a multifaceted panorama. The last part of the trail is a spur from where the Northridge and Sunset trails join. On the trip back, return to this junction and go right on the Sunset Trail. 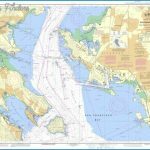 Be Aware: Make sure to time your hikes to be back for the last ferry. 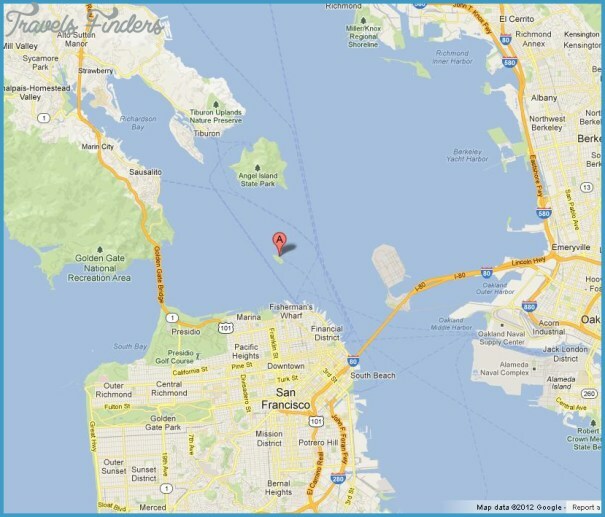 BiKE: Angel Island is perhaps best seen from a bicycle seat, with some 12 miles of biking roads. Not all trails are open to bikes, but you will be able to take most of the spur options from the 5-mile Perimeter Road loop. You also have the option of a hike n’ bike: riding, locking the wheels, and walking. 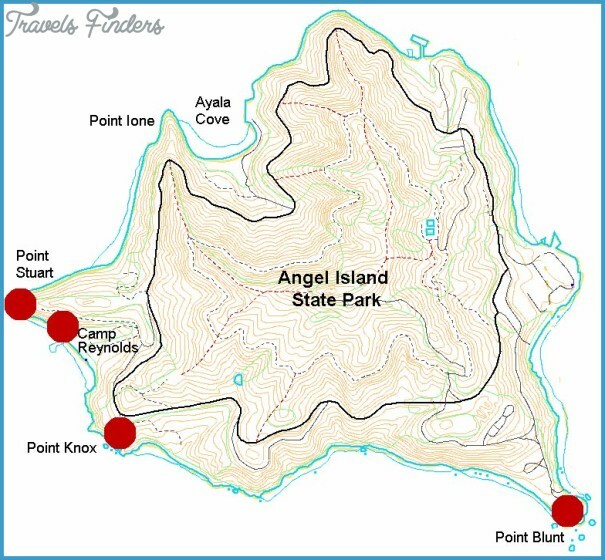 On an Angel Island Double loop, of about 10 miles with 600 feet of elevation, you ride both the Perimeter Road and Interior Fire Road. Start out to your right on Perimeter Road. The road undulates as you go, but basically maintains a contour at about 200 feet above the sea. After about 4 miles on the north side of the island just before North Garrison take the road turning back south, and up. You gain about 200 feet over .5-mile before reaching the Interior Fire Road. 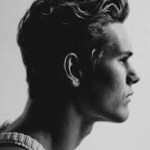 Go left, or clockwise. Continuing on the Fire Road, you’ll pass five hiking trail and road junctions, before making a complete circle and rolling down to the Perimeter Road at North Garrison. Turn left and complete the double loop back to Ayala Cove.